12:30: On arrival at pier, you will board your Royal Palace Cruise and you are warmly welcomed by professional and friendly crew. 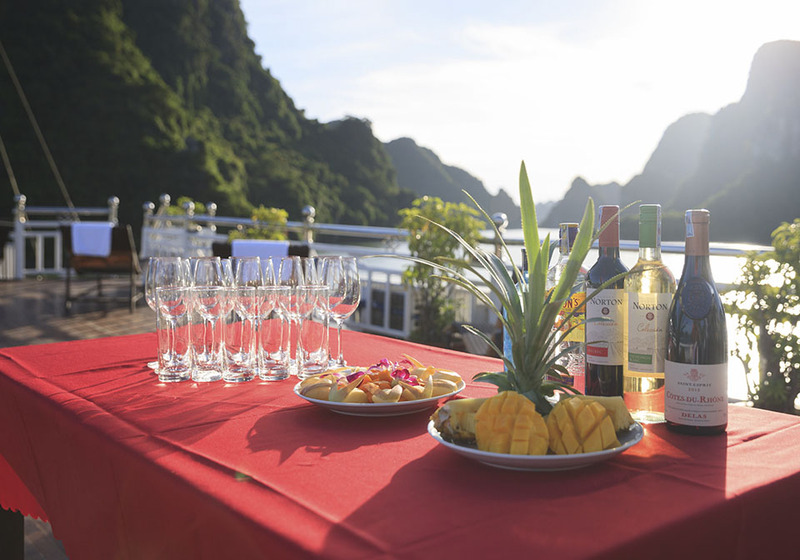 13:00: Check-in cabin and enjoy specially prepared lunch while cruising through most beautiful parts of the magical bay with thousands of amazing limestone islands emerging from emerald water. 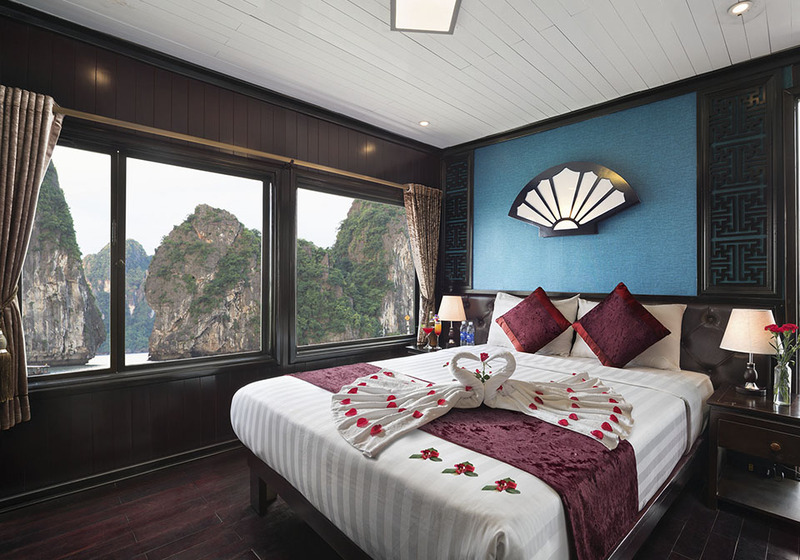 Sailing with Royal Palace Cruise in very tranquil route, exploring the exotic beauty of the legendary Bay, a feeling in paradise will come to you. 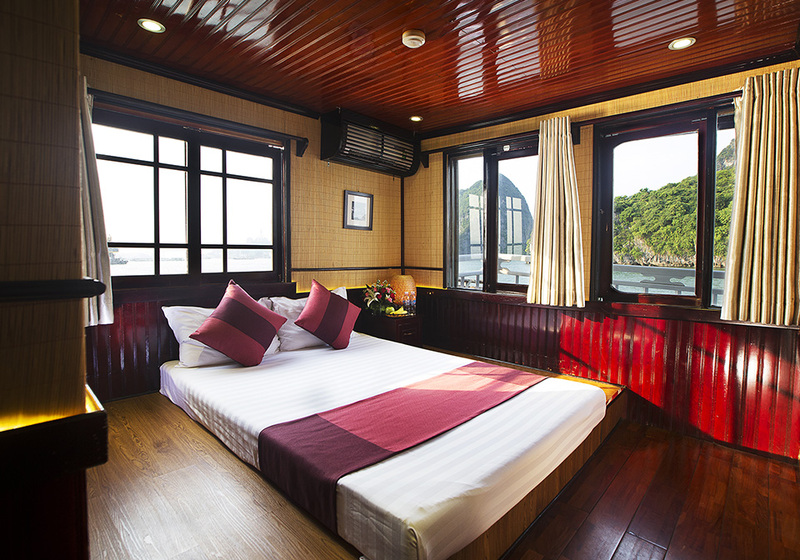 08:00: Visit Sung Sot Cave – the most beautiful one in Halong Bay. 09:00: Back to Royal Palace Cruise for check-out. 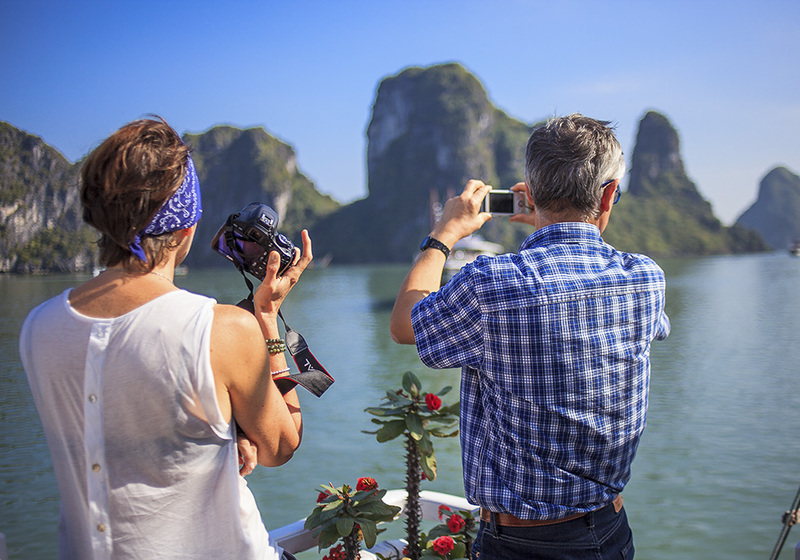 Keep cruising towards Ha Long Bay, passing by hundreds of islands and islets with different shapes depending on your imagination. 09:00: Back to the Royal Palace Cruise for check-out, keep cruising towards Ha Long Bay to explore other parts of the huge Bay, passing by hundreds of islands and islets with different shapes depending on your imagination.